Set in the 60s, at a time when men worked at the office and women stayed home to take care of the household and raise the children, we meet Josie Schuller. On the outside, Josie is the stereotypical housewife and homemaker. 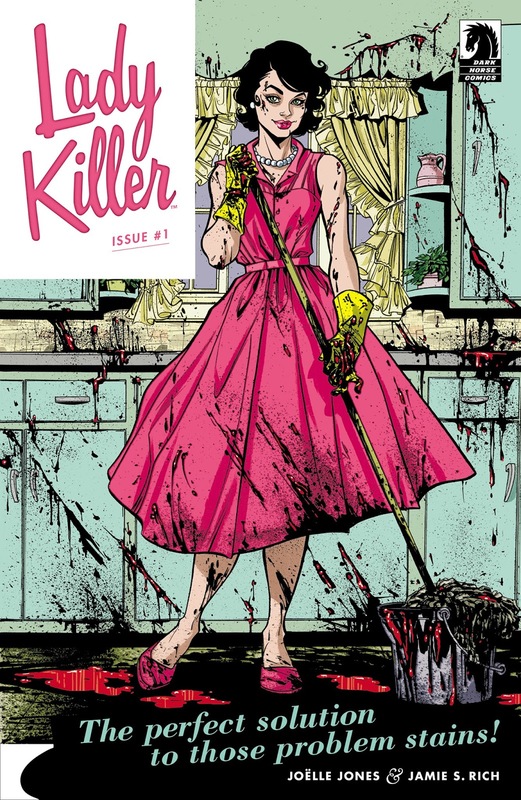 But what most of the suburbanites around her don’t see is that she’s moonlighting on her housewife duties--she’s a trained assassin. She’s not just a run-of-the-mill assassin, she’s good at her job, very good! The cast of characters surrounding Josie are wonderful. We have her husband, a loving husband, but completely oblivious to this double life she leads. A mother in law that lives with the family who’s deeply suspicious of Josie’s actions. She doesn’t suspect that she’s a killer, but is being unfaithful to her son. Her handler, Peck, is a total womanizer but he knows that she’s among the best of the best at what she does. And finally, the director of the organization that she works for. He’s growing suspicious that she’s not capable of doing her job to the best of her abilities. He feels that her having a family and a double life hampers her ability to do her job and sees her maternal instincts as a liability. Rich and Jones have collaborated in the past on two other projects: “12 Reasons Why I Love Her” and “You Have Killed Me”. After reading this series, I very much want to check out their previous work. This story was fast paced and very well told. I never felt like it was dragging on at any point. Through all five issues, the story flows at a fast, frenetic pace and just keeps you turning the pages as quickly as possible. The art was equally fantastic. My co-collaborator on the site, Ted, has been exposed to her work previously in the pages of Helheim. But this is my first real exposure to her art. 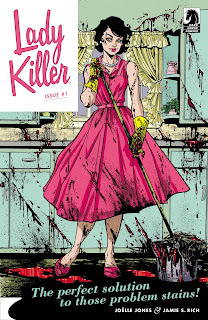 All I could think of while reading the first issue was “why is this Joelle Jones not an absolute superstar right now?”. Her art has a cartoony style that stays close to realism. Her lines are clean and wonderful. I’d love to see her move up to a bigger publisher so that her work could get the exposure it truly deserves. I’d very much like to see her do some Danger Girl work as her style is very much evocative of J Scott Campbell’s art and she’d be a wonderful fit on that title, in my opinion. The verdict: Highly recommended. If you’re looking for a story that’s quick, self-contained, and is just plain fun--read this! All issues are available right now Dark Horse’s website and a trade will be available in September. The score: 4.5 out of 5 stars.